Renewable sources like the sun, wind and flowing water are each enough to meet the entire world demand for ever. And indeed, they met all human needs in the ancient times, except for cooking, and some warming. With the development of technology and advancement of industry, human need shifted to energy in forms which were not available from these sources. Development of the electric motor and the reciprocating engine shifted our energy usage towards fossil fuel- coal, gas, and oil which seemed abundant and cheap. Even electricity was largely produced from fossil fuels. However, the oil-shock of 1970’s during the Arab-Israeli War, and later the realization that fossil fuels would not last forever, forced planners to think of alternate sources of energy-alternate to fossil fuel. Also, the world became aware of the adverse effect of using fossil fuels on our ecology. The specter of global warming (not a specter but a fact already being observed) looms large, with sinister consequence of an unlivable earth. Attention turned towards solar electricity (photovoltaics), hydro-energy, and wind energy among others like biomass, geothermal, etc. The White House aggressively aims to derive 80% of electric power from clean sources by year 2035 and to reduce GHG emissions (relative to baseline 2005) by 17% by 2020, and 83% by year 2050. Technological development propelled by government and private funding have brought things to where solar and wind are now forming an appreciable share of the total power. However, integration of these renewables with generating systems based on fossil fuel is posing problems which will increase as the share of renewables in the national power generation increases. The main problem is their intermittent nature. The sun, wind cannot be counted on for 24 hours a day, nor seven days a week. Large plants running on fossil fuel form the backbone of our generation systems and convert the heat energy of fossil fuels to electricity. In order to utilize all available renewable solar and wind electricity, and still follow the varying demand curve, the smaller of these plants have to be cycled online and offline repeated to accommodate the variation in solar and wind output. Thermal structures of these plants like boilers, turbines, pipes, and other parts go through extremes of temperature cycles with very serious effects on their total life and reliability. This results in extra maintenance costs, and reduced overall profitability. This situation can only be handled through a buffer storage. 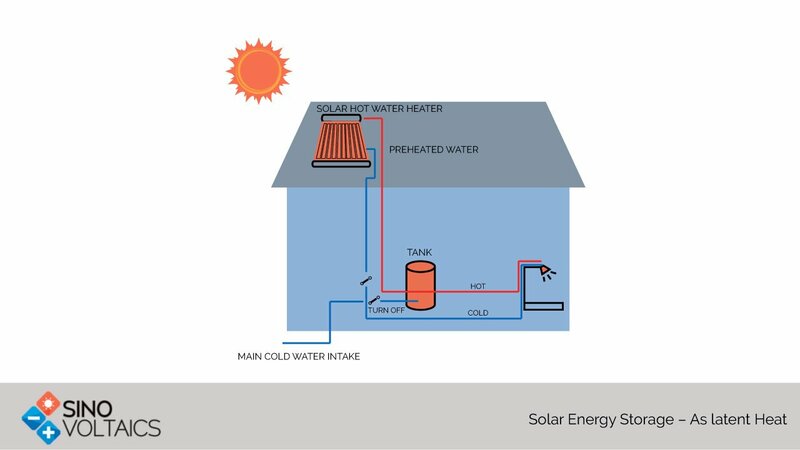 While water can be stored for power generation when required, the sun and the wind cannot. 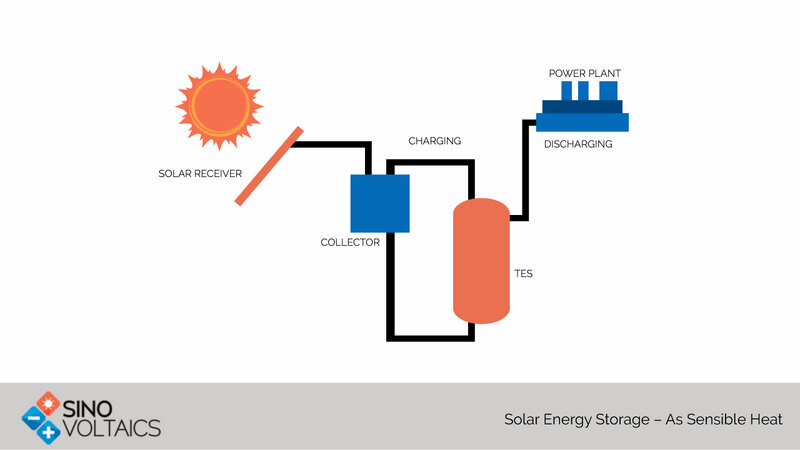 Storage of renewable energy when it is available and in excess of current need is, therefore, necessary. For this reason, currently there is as much effort going on towards cost-effective storage of renewable energy. Various schemes exist and are being continuously being improved for efficiency and simplicity. Among these are storage as electric energy, heat energy (both sensible and latent), mechanical energy, and chemical energy. Store for as Long as Needed– While other forms of storage suffer some loss due to system imperfection, e.g., insulation leakage over time, chemical form of energy storage is generally for as long as we need it. Directly from the Sun– Some solar fuels ca be produced directly from the solar energy without intermediate conversion to electricity. 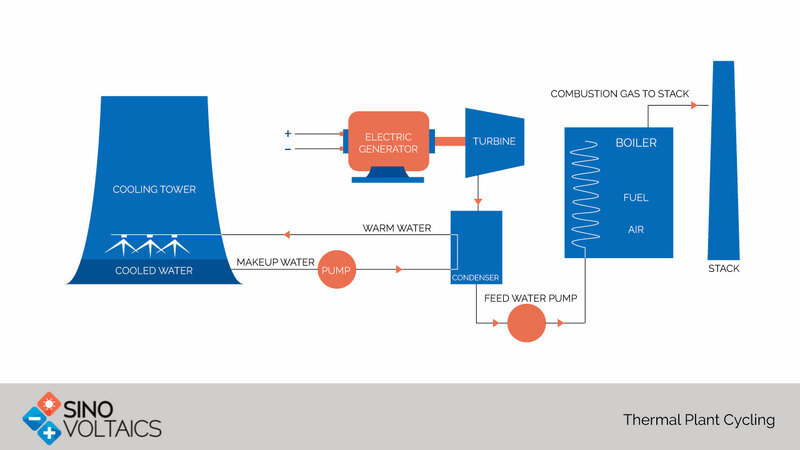 Ecological Benefit– Hydrogen fuel produces no emissions when burnt. Natural Gas produced with solar energy produces less emissions than the fossil fuel it replaces. Continuing Need– Electricity makes up only 30% of global energy consumption, and unless there is a phenomenal breakthrough in electricity storage, low carbon fuels will be needed to meet the 70 % non-electric energy consumption. Solar fuels are just the right fuels for this purpose. Energy Density. Solar fuels offer a much higher power density without need for compression. Energy per liter is Natural gas, 35 MJ; Hydrogen, 5.6 MJ; Li Battery, 0.9-2.63 MJ; and Lead Acid battery, 0.56 MJ.